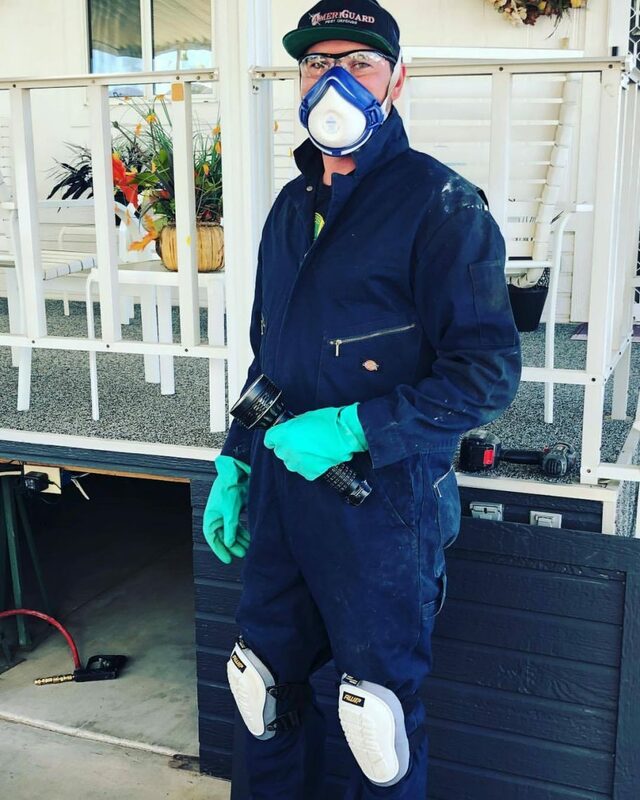 Our technician suited up for a termite treatment. Safety first. We also used Termidor along with Borate. 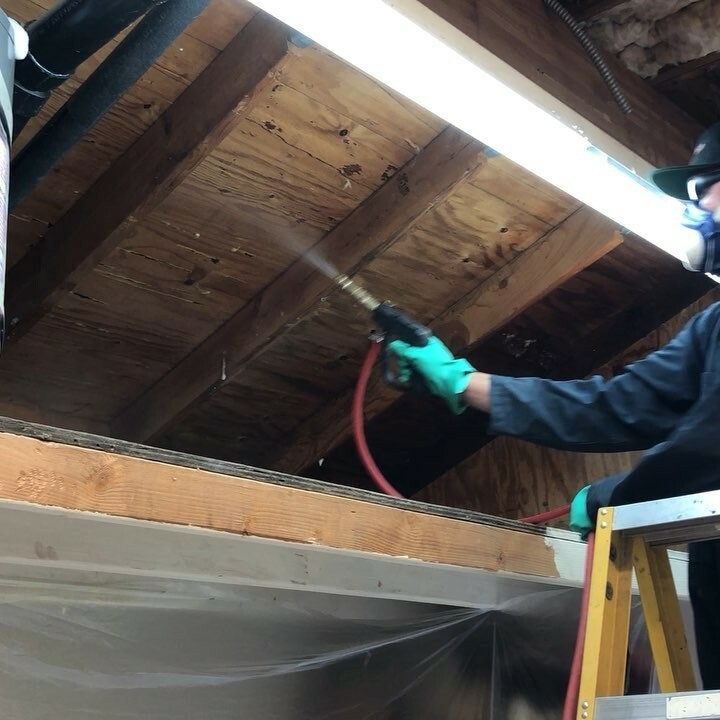 Our technician Jordon has his battle suit on and ready to kill off a drywood termite population under this porch an inside of a shed. We performed this termite spot treatment successfully after using a borate product called Timbor and an awesome termiticide called Termidor. We recommend you call AmeriGuard Pest Defense today at 951-652-0505 to schedule a termite inspection. Whether you need a inspection because you see termite evidence, are selling your home an need a full inspection, or if you are refinancing with the VA and need a NPMA-33 form, call AmeriGuard today. 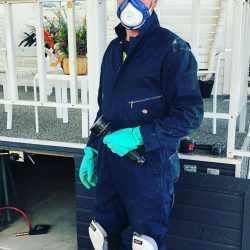 AmeriGuard Pest Defense call perform and professional pest control services if you live local in the Hemet, San Jacinto, Menifee, Murrieta, Temecula, Wildomar, Perris, Beaumont, Banning, or any surrounding city in the Southwest Riverside County area.